An intensive, well thought out two-volume beginning course for adult learners. The lessons develop an 800-word vocabulary and 301 basic conversational sentence patterns. On completion, the student should be able to carry on simple conversations, and will have acquired a solid foundation for further study. 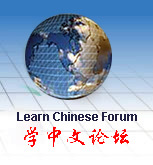 All the books list below are mandarin Chinese with simplified character.